Ms Chow Mei Mei is currently the Senior Vice President of Financial Advisory and Portfolio Planning of Sapura Energy. Prior to this, she held the position of Senior Vice President, Group Strategy and Finance Division in 2015. She had also served Sapura Energy as its Senior Vice President, Group Strategy and Business Planning Division from 2012 to 2015. Prior to the merger of businesses between SapuraCrest Petroleum Group and Kencana Petroleum Group, Ms Chow held the position of Executive Director of Group Treasury and Corporate Finance at Sapura Holdings Sdn Bhd as well as the Director of Treasury and Corporate Finance at SapuraCrest Petroleum. 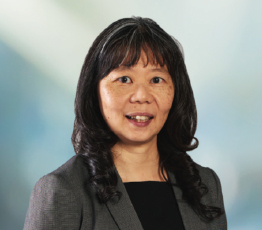 Prior to joining the Sapura Group, Ms Chow had held several senior positions in Sime Darby Berhad’s group of companies including Chief Financial Officer of the Energy and Utilities Division, Chief Financial Officer of the Motors Division, and Senior Manager and Head of Group Corporate Finance of Sime Darby Berhad.